This is a Recipe for making at home crispy and spicy Lettuce Pakoda. Crispy and crunchy Pakoras, called as the Salad Patte Ke Pakode in the Hindi language can be made using the Lettuce leaves. Wash the lettuce and slice along with Onion in to tiny pieces. Mix with Chilies, (cut), Salt, Turmeric, Soda, 4 Table spoon Ghee. Then add the leaves, Bengal Gram and Rice flour, Coriander leaves. Mix up with water in to stiff dough. From into balls, the size of a gooseberry and fry to reddish brown color. 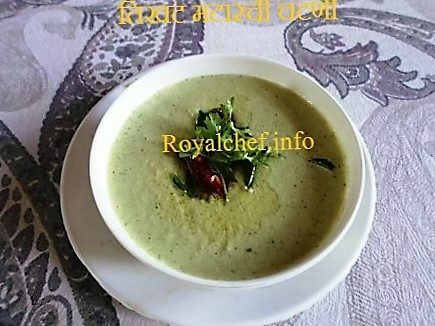 Serve with coconut Chutney .